Nowadays, the headline-grabbing, attention-dominating murder trial is a time-worn element of the media landscape. It's a formula that seems to play out every few years — whether it's O.J. Simpson, Phil Spector, Casey Anthony, Amanda Knox, or Oscar Pistorius, there seems to never be a shortage of sensationalist, lurid, or tragic deeds that capture national and worldwide attention. And back in the late 1980s, such a grisly crime went down. 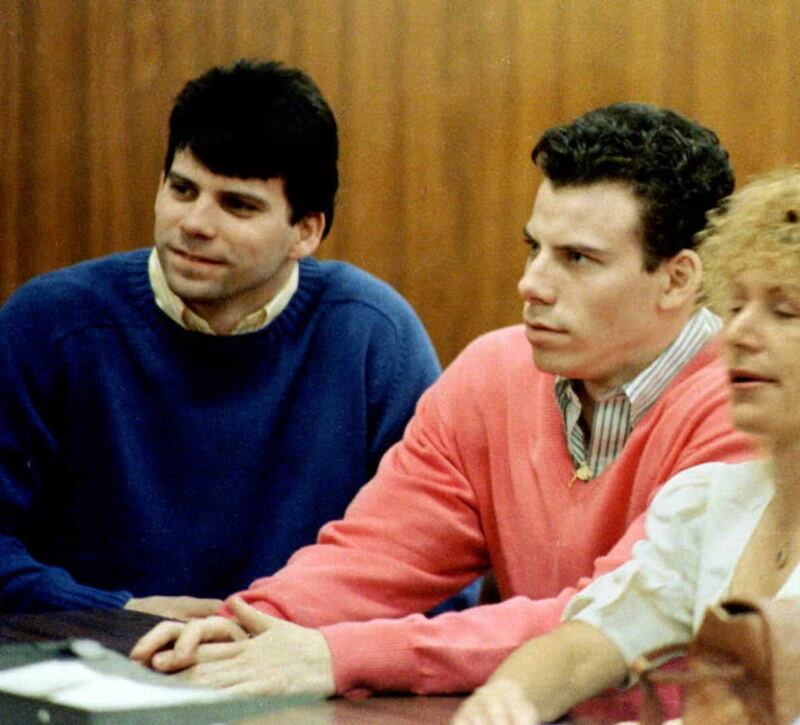 So what happened to the Menendez brothers, Erik and Lyle? For those of you who don't remember, or were too young to have been aware of the case, the 1989 Menendez murders were headline news, and the coverage of their trial was one of the earliest successful forays for CourtTV, which launched in 1991. Born to affluent parents — Jose and Kitty Menendez — and raised in the luxurious confines of Beverly Hills, California, the two brothers became infamous symbols of parricide. In 1996, they were convicted for murdering their parents, after an earlier trial in 1993 deadlocked between manslaughter and murder charges. The scene of the crime, as detailed by prosecutors, was graphic in the extreme, with both Jose and Kitty slain by shotgun blasts. The brothers' defense argued that the killings were motivated by a history of childhood sexual abuse — Erik claimed his father molested him starting at the age of six, and Lyle alleged similar abuse by his mother — but regardless, the brothers ultimately received the same sentence: life imprisonment with no possibility of parole. Tammi is what gets me through. I can't think about the sentence. When I do, I do it with a great sadness and a primal fear. I break into a cold sweat. It's so frightening I just haven't come to terms with it. In 2005, Erik told NBC News' Rita Cosby that he hadn't seen or spoken to Lyle in more than 10 years, although not for lack of desire. He claimed that they wanted to be imprisoned together, but that they'd been separated into different vans after their convictions and sent to different prisons without warning. We fought to be together, and we are not allowed to be together. And they won‘t tell us why. The last time I saw him was at 3 in the morning when they chained us up and put us in separate vans. And they didn't even tell us they were going to separate us. And the next thing I knew, I never saw him again. In all, the Menendez brothers have served more than 19 years of their respective life sentences — they were sentenced back on July 3, 1996.